A land can be appraised for a variety of reasons. It can be done by a person who wishes to buy it or government agencies can survey it for other crucial needs. No matter what the reason for the appraisal, a number of parameters should be considered to make an efficient appraisal. Using an Appraisal Form is the best idea as it comprises of all the essential parameters thus making it easier for the user to conduct the evaluation of the land. 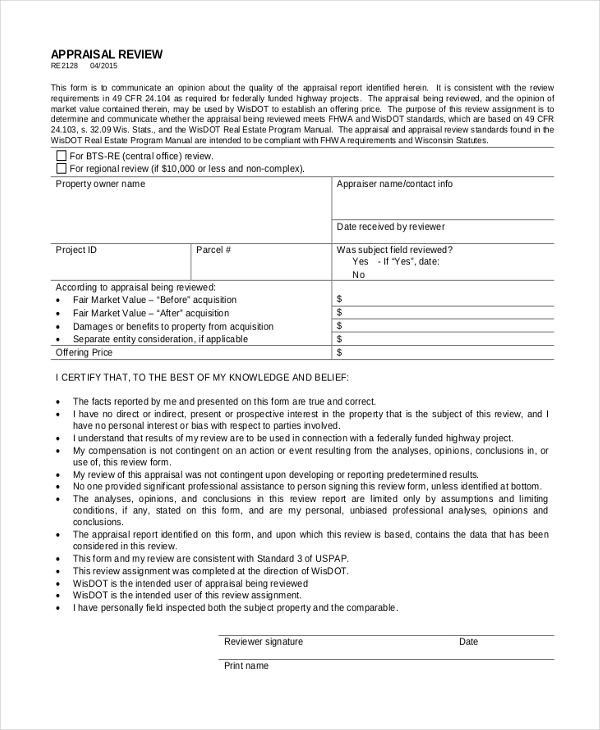 As the name indicates, this form is used to conduct an appraisal of a residential land before beginning the construction or when a person intends to buy it. The form gives the appraiser an idea of the parameters that he should take into consideration while conducting the evaluation. Before building a commercial complex on a land or buying it, a person may use this form to conduct an appraisal of the property. With all the essential parameters in place, the user can be assured that he does not miss out on any crucial elements while performing the evaluation. You may also see Sample Sales Appraisal Forms. When a bare land appraisal is to be performed, the aforesaid form can be used. This form is perfect for all irrespective of the kind of land that is being evaluated. It contains the crucial parameters that should be considered during the appraisal. The user can, however, alter these as per his needs. 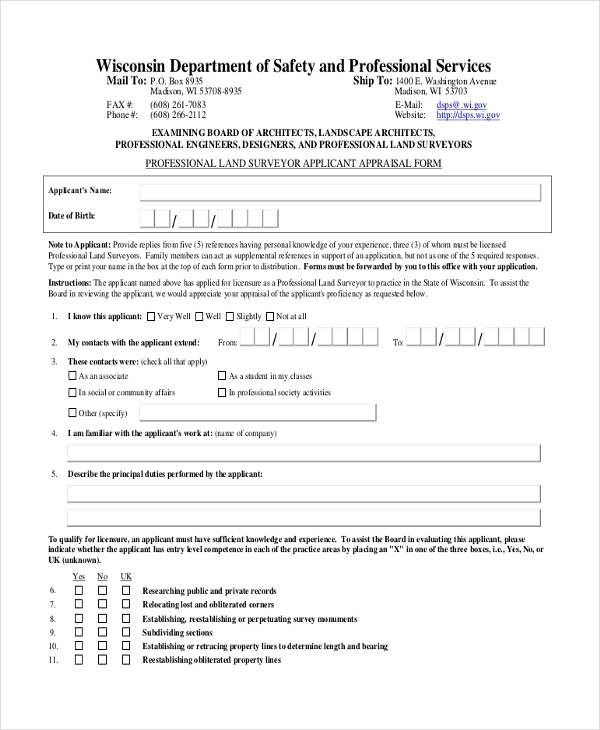 As the name indicates, this form can come in handy when appraising a vacant land to see if it is fit for construction or feasible to be invested in. The form gives the user an idea of the parameters to be considered when conducting the appraisal, thereby simplifying the whole process. you can also see Sample Teacher Appraisal Forms. Often when an external agency is hired to appraise a land, the evaluator is required to present the client with a proper report. This form helps the evaluator to develop such a report. With a perfect format and required segments in place, the user just needs to fill in the relevant details in the form. 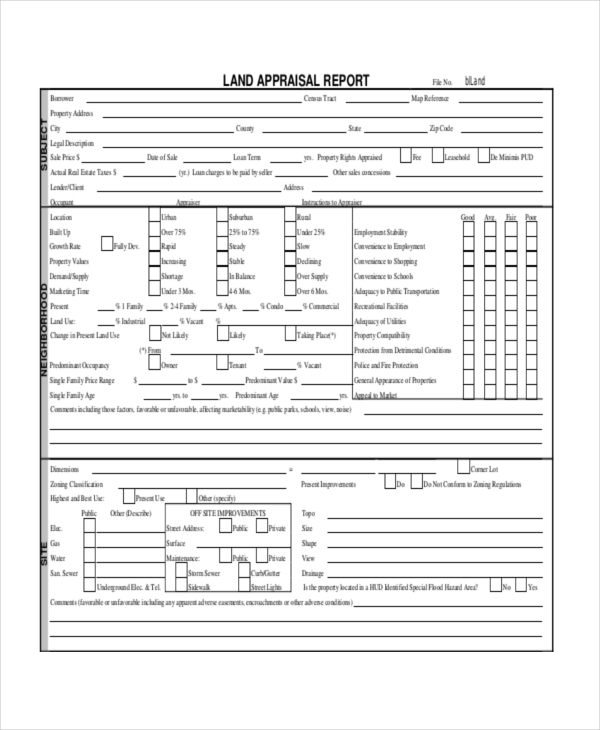 This form is used to perform the appraisal of a land and then record the observations in an organized manner so that they can be reviewed later. Using the aforesaid form gives the user a clear idea of how to record the findings. 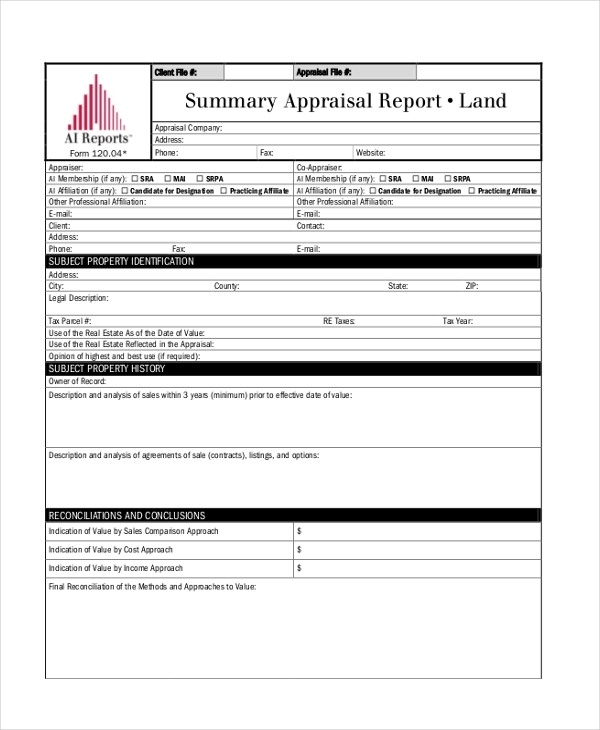 You may also see Sample Real Estate Appraisal Forms. This form is used by insurance companies to appraise the value of a land whose owner may have approached them to insure his land. The form helps them to analyze the value of the land which in turn helps them to decide what insurance policy is perfect for it. As the name indicates, this form is used by a professional land surveyor to conduct the appraisal of the land when the owner requests for it. This form contains all the important parameters that should be considered when conducting the appraisal. You may also see Sample Self Appraisal Forms. 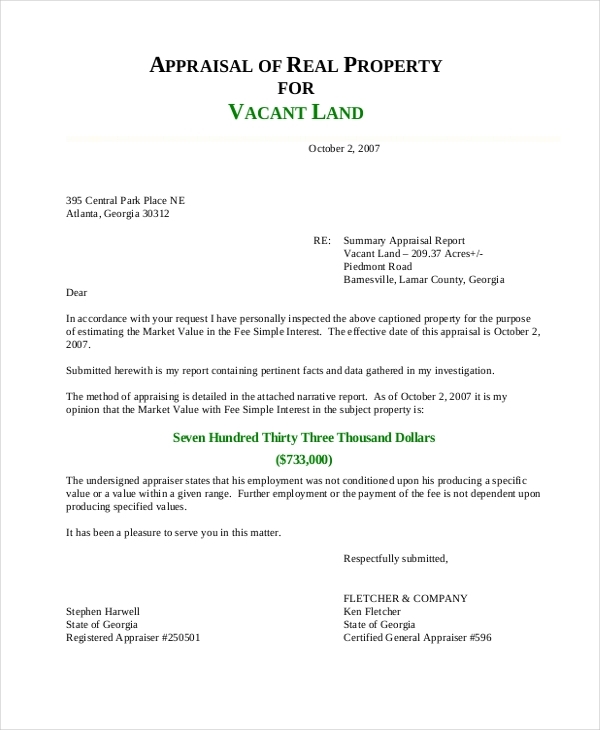 What are the Benefits of Using Land Appraisal Forms? 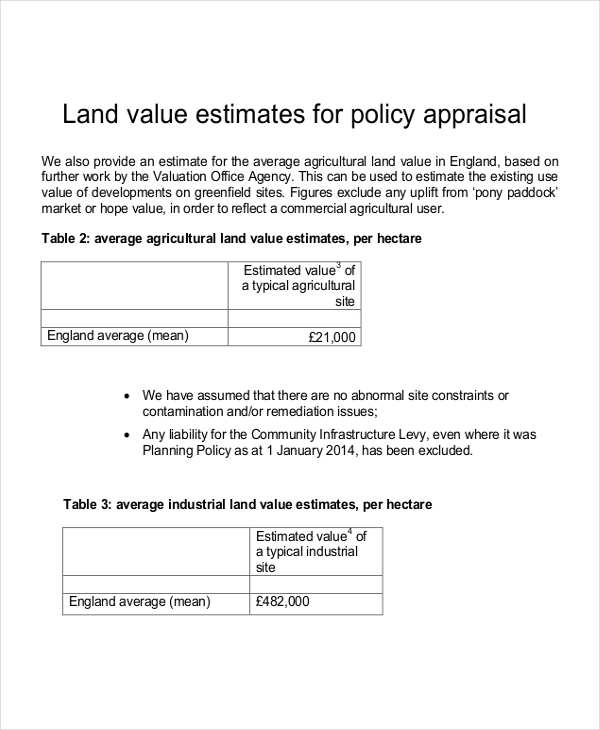 Not sure how to design a land appraisal form? Don’t worry. Just browse through our collection of these and home appraisal forms. We have a wide range of such forms to choose from. So, you are sure to find one that is perfect for you. 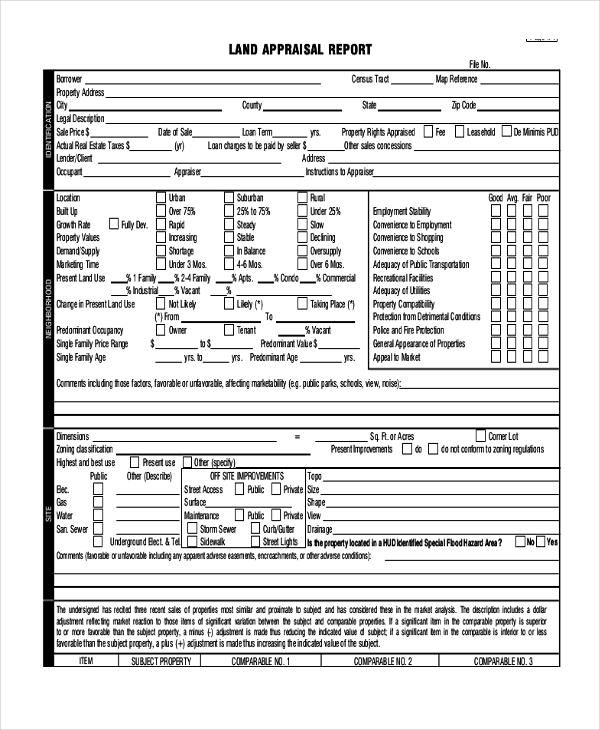 Easy to download and customize, these forms help you to design a unique health appraisal form within no time. you can also see Sample Staff Appraisal Forms.